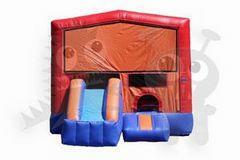 Perfect jumper filled with fun, when your space is limited. It is still the standard rental with a basketball hoop on the inside, ladder and slide on the inside, still with plenty of room to jump. Add your favorite themed banner as well!! Our most popular large combo if you can fit it! so much action jumping, sliding, climbing, basketball hoop, and more! 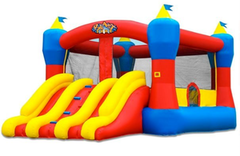 Large 5-1 Combo jumper fun for many ages! 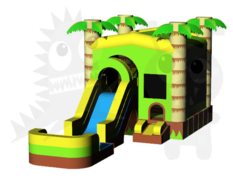 jumping, climbing, and slide down the slide! This is a great combo for many ages lots to play with and put your favorite character there too! 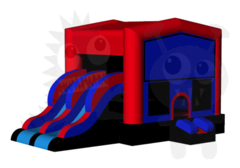 13x13 Jumping area, basketball hoop, extra obstacles inside, your favorite banner on the outside and slide down either slide and start all over again. Great for multiple ages. More than just jumping!! 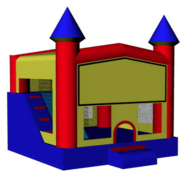 Larger jumping area, climbing ladder, slide, and basketball hoop. 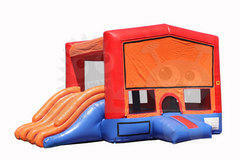 loads of fun for the ones that can't jump enough. 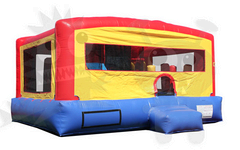 Soooo many obstacles in this jumpy. Loads of fun to keep all ages busy! 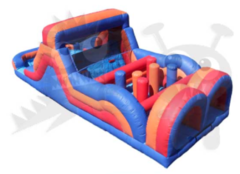 Basketball hoop, gladiator poles, ladder, slide, and more! We have this version and a larger one as well. A great rental and not one but 2 slides! 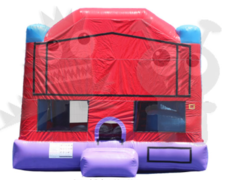 One of our most popular rentals by far! ! 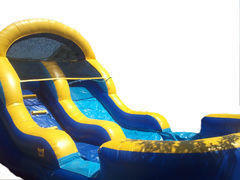 Great rental if you are having a large amount of children. 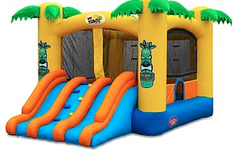 Keep them busy jumping, climbing, and sliding around. 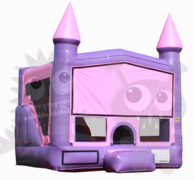 Perfect pink jumper filled with fun, when your space is limited. It is still the standard rental with a basketball hoop on the inside, ladder and slide on the inside, still with plenty of room to jump. Add your favorite themed banner as well!! 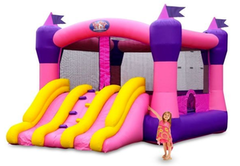 This playground style jumpy has many awesome features that will keep those younger ones busy for endless amounts of time! If your height it limited this is perfect! 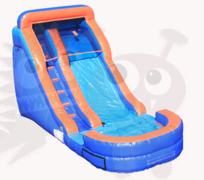 Jumping, sliding, pop up obstacles, tunnels, climbing, and more! 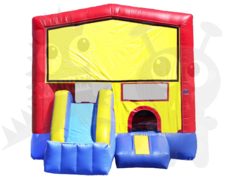 One of our most popular rentals yet available in 2 sizes if this is a little too much fun! Get it booked today! 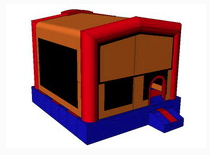 13x13 bouncing area, basketball hoop inside, 2 pop-ups, ladder to climb up and slide down. 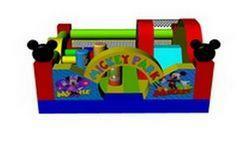 Mickey's playground is full of color and aimed toward's the younger group. 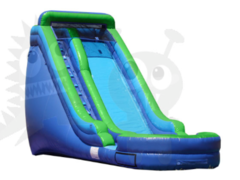 Great for little ones to about 6 years old. But the big kids also do love to jump and smooth all the obstacles as well. 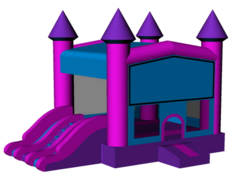 Great slide for events with variety of ages! 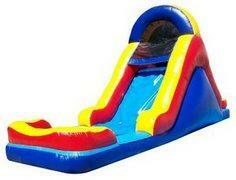 16 ft Slide, great for picnics, large events. Keep everyone busy and having a blast.